We are dog friendly. Newly refurbished and reopened November 2017. We offer dog refreshments and the option to dine with your dog! 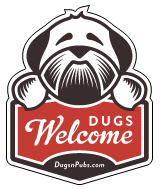 There are a total of 3 dog friendly listings in the Featured Fife category. Please log in, or sign up as a member to view all listings.